In rural America, perhaps more than other areas, high school students have the ability to contribute to the revitalization and sustainability of their home communities by engaging in oral history projects designed to highlight the values that are revered and worth saving in their region. The Arkansas Delta Oral History Project, a multiyear collaboration between the University of Arkansas and several public high schools in small, rural Arkansas towns, gives students that opportunity. Through the project, trained University of Arkansas studentmentors work with high school students on in-depth writing projects that grow out of oral history interviews. The Delta, a region where the religious roots of southern culture run deep and the traditions of cooking, farming, and hunting are passed from generation to generation, provides the ideal subject for oral history projects. In this detailed exploration of the project, the authors draw on theories of cultural studies and critical pedagogy of place to show how students' work on religion, food, and race exemplifies the use of community literacy to revitalize a distressed economic region. 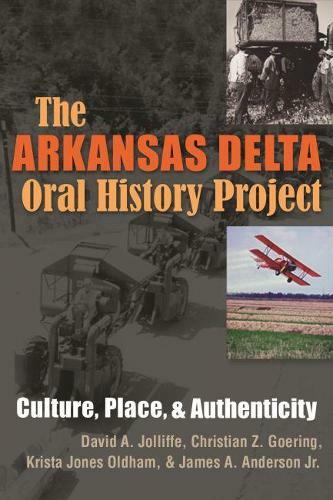 Advancing the discussion of place-based education, The Arkansas Delta Oral History Project is both inspirational and instructive in offering a successful model of an authentic literacy program.